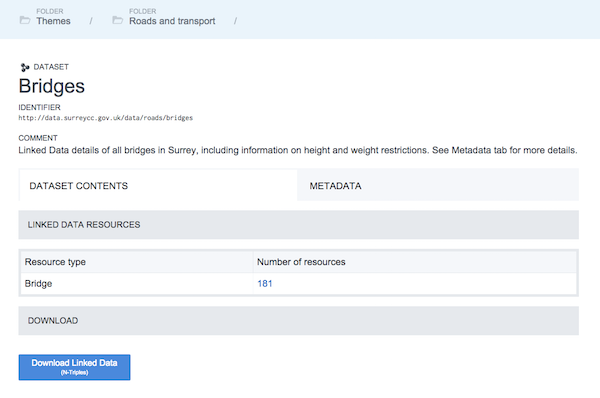 Surrey County Council launch linked open data platform – Open Data Aha! We’re pleased to announce the recent launch of Surrey Open Data – a pilot open data site we’ve been working on with Surrey County Council. The first phase of the project addresses the Local Government Transparency Code. We’re now busy with the second phase, adding a range of reference data and operational data on roads, bridges, libraries, schools, rights of way and more. Surrey is the first local authority in England to publish all their transparency code datasets as 5-star data. They recognise the value of providing data in machine-readable forms and via APIs – providing a data access platform that other applications and visualisations can draw on. It’s one component of their vision of using digital technology to help deliver ‘joined up services’. As Chief Digital Officer, Lucie Glenday, put it in an interview with Computer Weekly, “It’s not just about the front-facing customer services, but joining up the back-end systems so the council has a single viewpoint of its platform”. The site is powered by v2.5 of our PublishMyData service and the datasets are fully browseable, searchable and queryable so it’s quick and easy for both technical, and non technical users to find and use the data they need. Most of the data is on the site in at a 5 star standard with downloadable files in CSV format also available for those users who would like it. 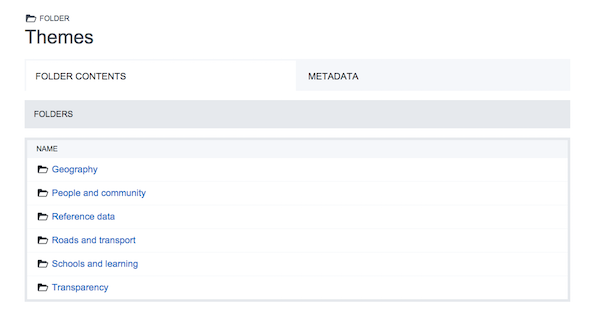 We are in the process of adding whole series of user interface and API enhancements to PublishMyData, which will hit this site (and others) soon so watch this space. Scottish Statistics Beta – over 1 billion Scottish facts! ‹ Newsletter Issue 2 out now!